"The adoption of this law is no less important than the development ofa defence strategy." 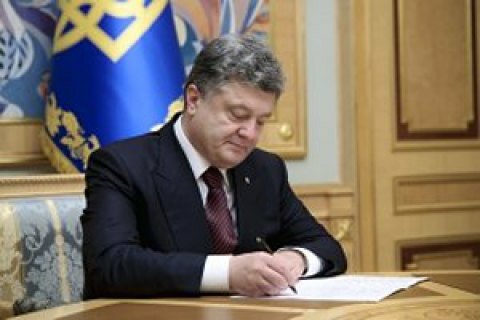 President Petro Poroshenko on Monday, 20 November, submitted as an urgent the bill On Diplomatic Service to the Verkhovna Rada. Presidential press secretary Svyatoslav Tseholko wrote on Facebook that "the adoption of this law is no less important than the development of the defense strategy and approval of the Strategic Defence Bulletin, army reform. Earlier, a diplomatic service bill has been reviewed by the National Board of Reforms.